When the life of Dorothy Johnson-Speight’s 24-year-old son surrendered to gunfire, his death did not end with a funeral. Instead, his memory inspired the founding of Mothers In Charge, a community advocacy and support organization for families affected by violence. 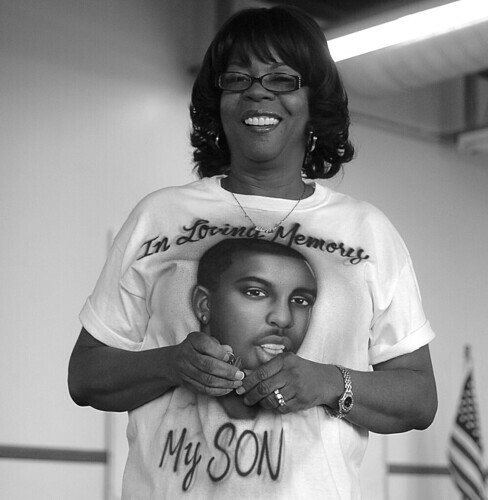 Speight founded the group after her son, Khaaliq Jabbar Johnson, was gunned down in December 2001 over a parking space in an Olney neighborhood. The organization of mothers, aunts, grandmothers and sisters assists individuals during the beginning and post-stages of losing a loved one. In maintaining its efforts to provide counseling services, the group has opened a victim support center, at 2233 W. Allegheny Ave. The center will offer group and individual counseling sessions as well as violence prevention education and intervention. The additional facility will aid families in implementing strategies and programs to overcome tragedies inflicted by random acts of violence in their communities. After she lost her 18-year-old son to gun violence, Michelle Kerr Spry, a member of the mothers group, said the center provides comfort for those who need a quiet place that they may not have in their home. In addition to counseling, the center also provides members with resources for funeral arrangements and victim compensation funding. The state reimburses families for burial expenses as long as the victim was not involved in the crime. “The new space allows us to do two things, one that is very supportive and comforting and then the other one that gets down to the business of laying your loved one to rest. It’s a wonderful space and has this duality that is necessary for us to get through this process,” Spry said. Speight said her son’s aspirations for life motivated her to open the new facility. Johnson graduated from the University of Maryland Eastern Shore and had been accepted into an accelerated master’s program. Speight said her son enjoyed helping his community and young people. “The plan was he was going to get his master’s degree and I was going to get my Ph.D., and we were going to work with kids at risk. When you lose someone, you lose the future,” she said. Speight encourages Temple students to take part in preventing violence from deterring the future endeavors of North Philadelphia youth. At the start of my senior year this past August, I finally relocated to a neighborhood in North Philadelphia more commensurate with all the stereotypes I’d heard about the area before I enrolled here. Ugly. This is great, something needs to be done. To many people die to gun shots very year, it is said and things need to be done. Good for this mother to stand up for something and get it done.